You are here: Home / Blog / Charity Projects Bags For Sale! Charity Projects Bags For Sale! We have lovely hand-made project bags on sale to raise funds for our charity! 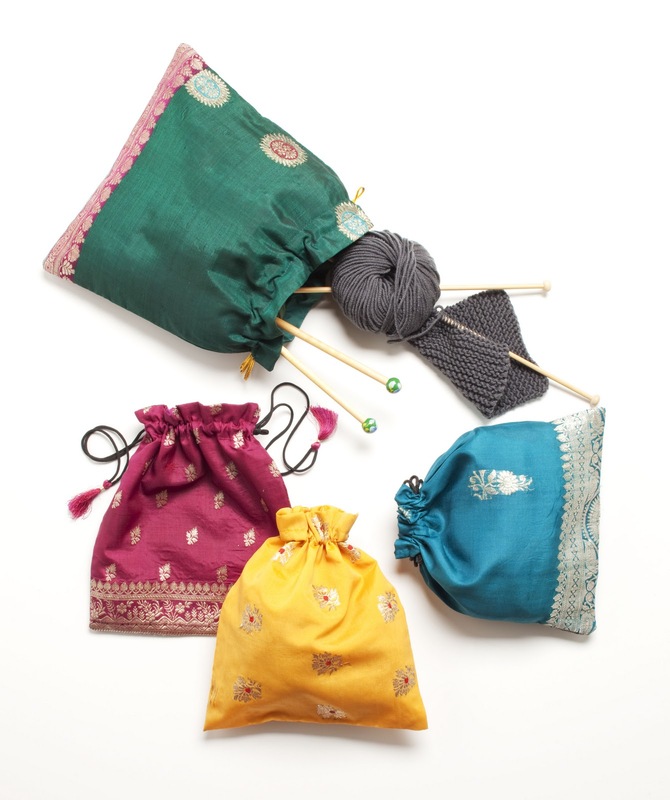 All the way from India, these bags have been made from recycled silk saris, by women from a small self-help group. They have been beautifully made and are fully-lined to ensure needles do not poke through. The bags are also drawstring so that you can make sure your knitting stays safe! The bags can also be used for different purposes – on my way home from Bank to Liverpool Street, one fellow commuter on the Underground spotted the bags on the top of my wicker basket and bought one off me for a present to give to his sister! 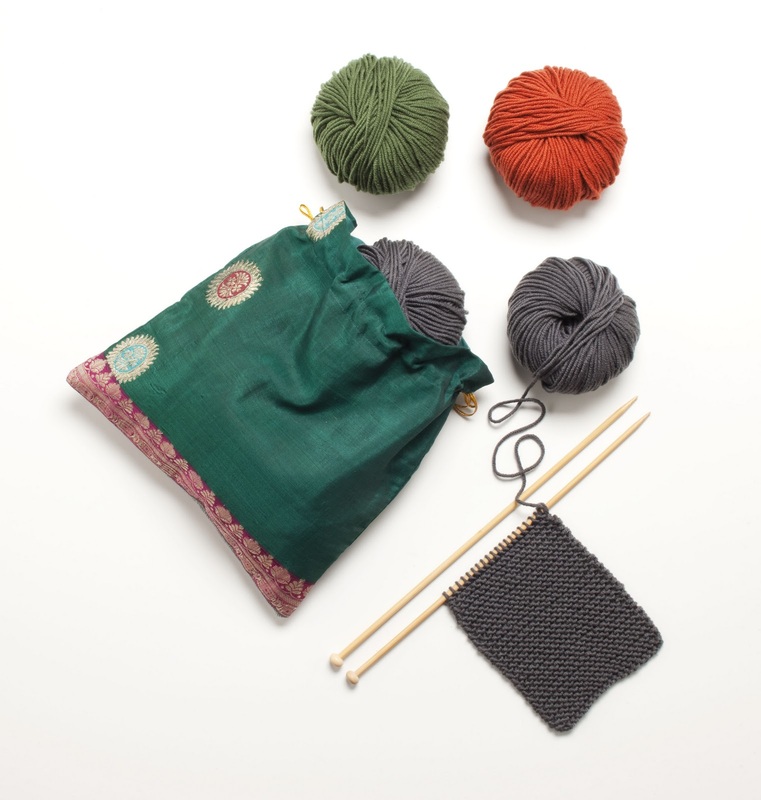 Each bag costs only £10.95 – with all the proceeds going towards Knit for Peace projects. Please include your name and details of where to send your bag(s). The bags are lovely! They're just the right size for all my knitting needles and yarn so that I can take my knitting wherever I go. I've also had lots of compliments from my friends and family so you should be receiving lots of orders very, very soon!